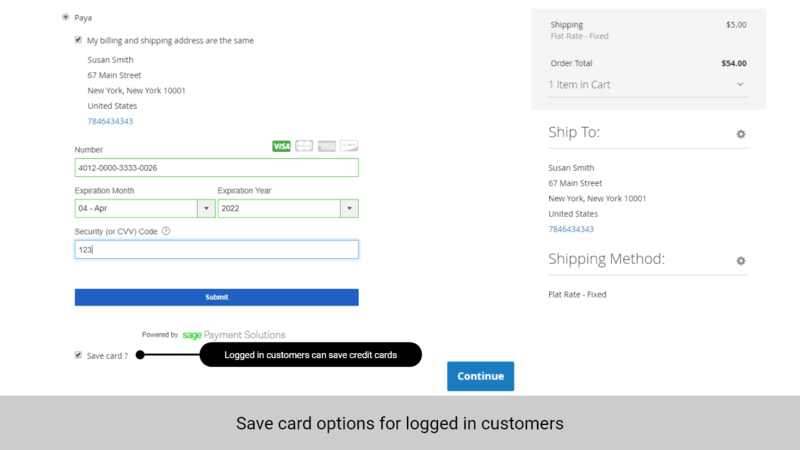 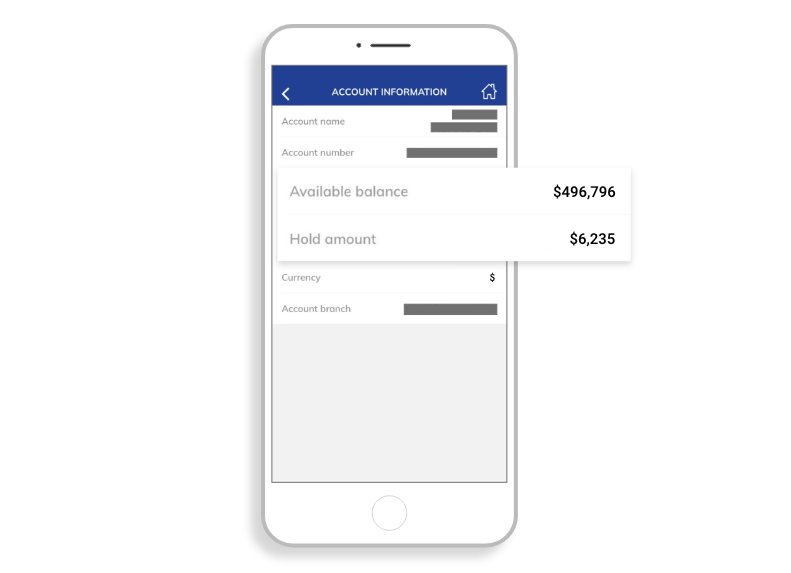 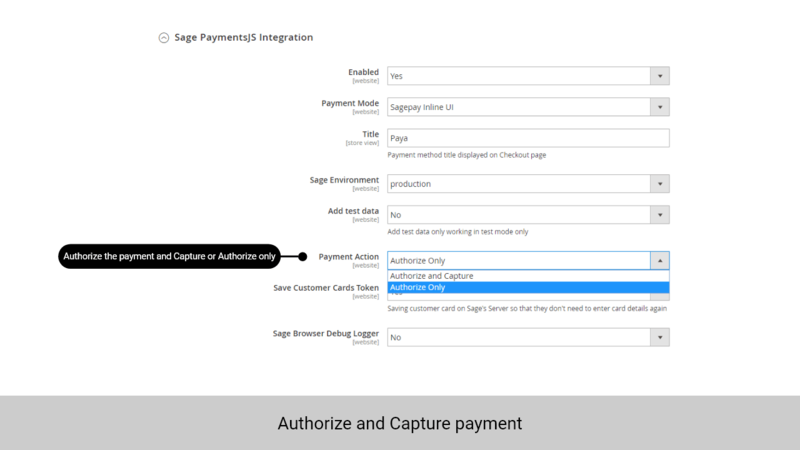 Note: This is Sage Payment integration for the US. 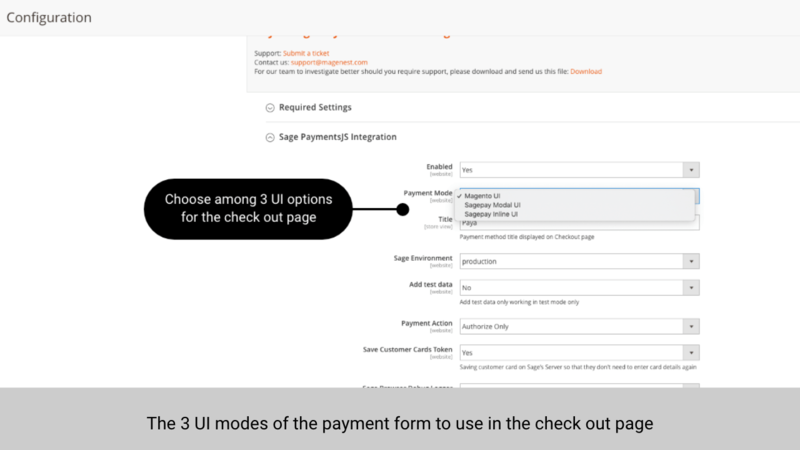 For the UK version, visit Sage Pay Integration for Magento 2. 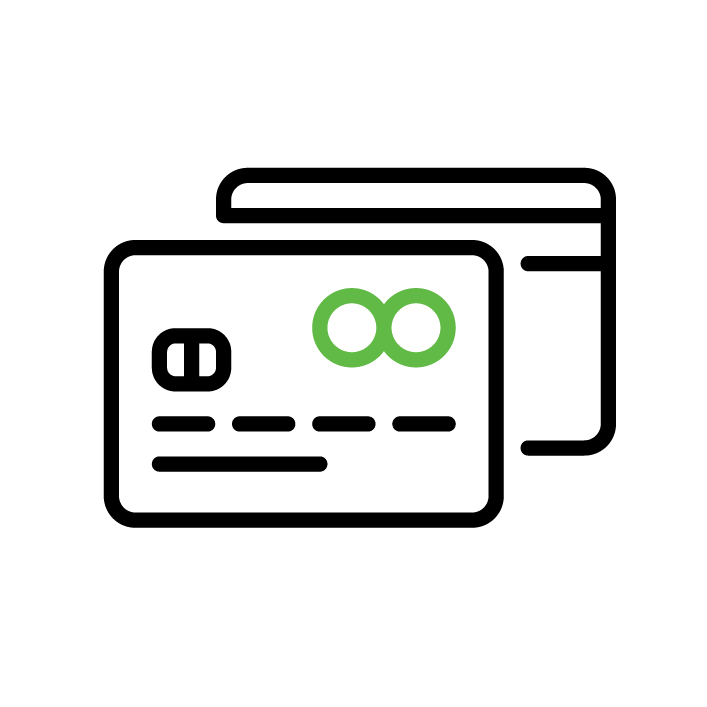 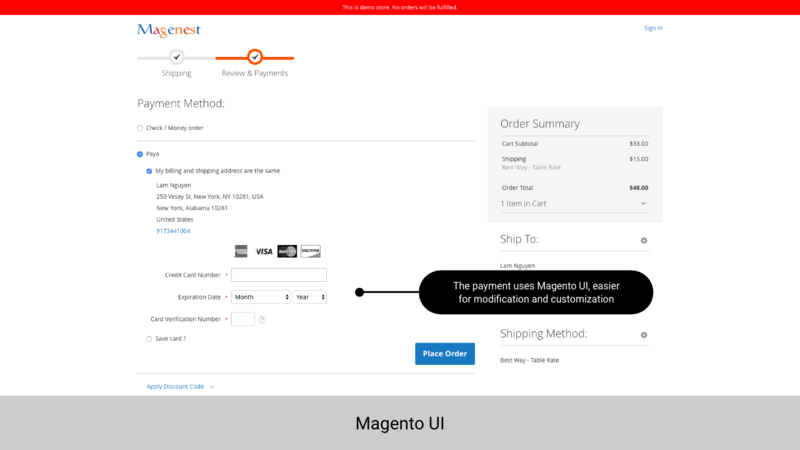 Security is an essential part of any e-commerce platform, especially one as large as Magento, earn your customers' trust with a reliable payment gateway. 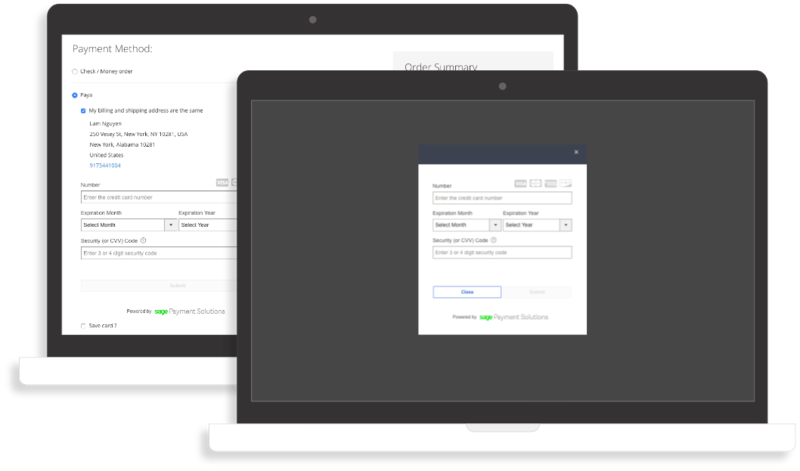 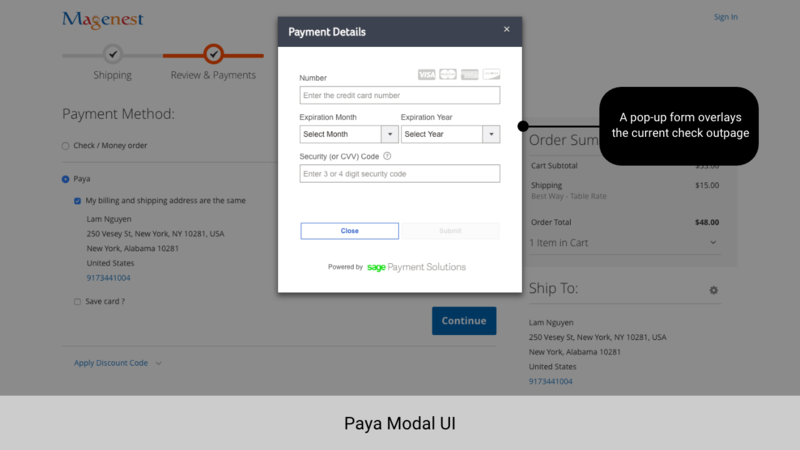 Paya PCI DSS compliance payment gateway will store and process customer information for you. 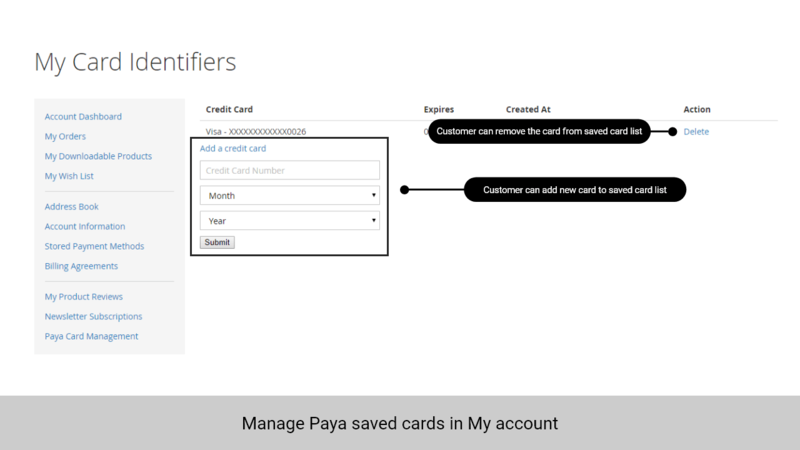 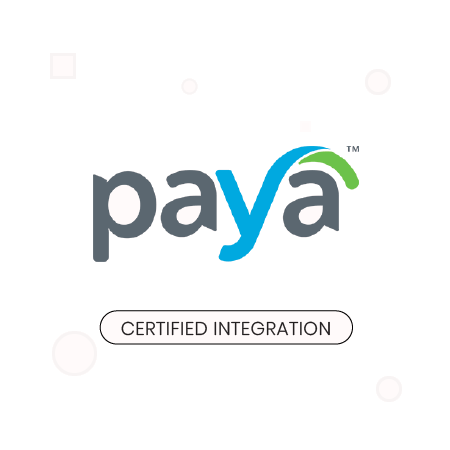 Paya Integration give customers multiple choices of payment. 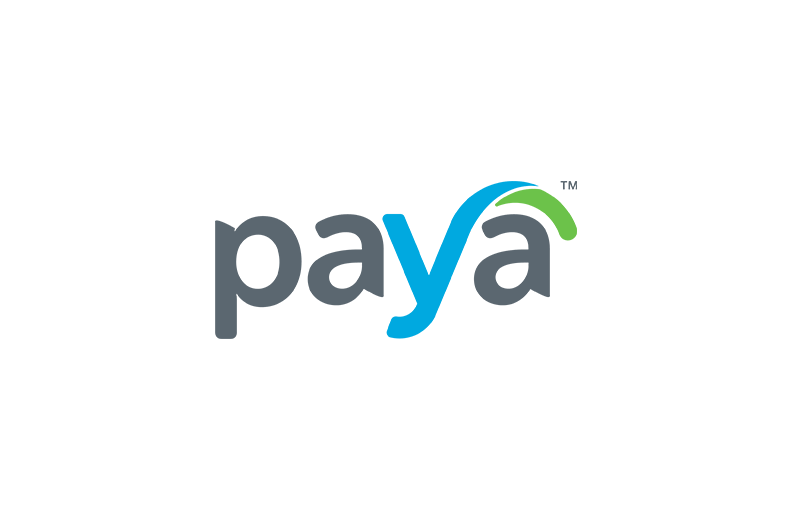 In addition to credit cards and debit cards, Paya includes Paypal (eWallets), card payments and various other methods. 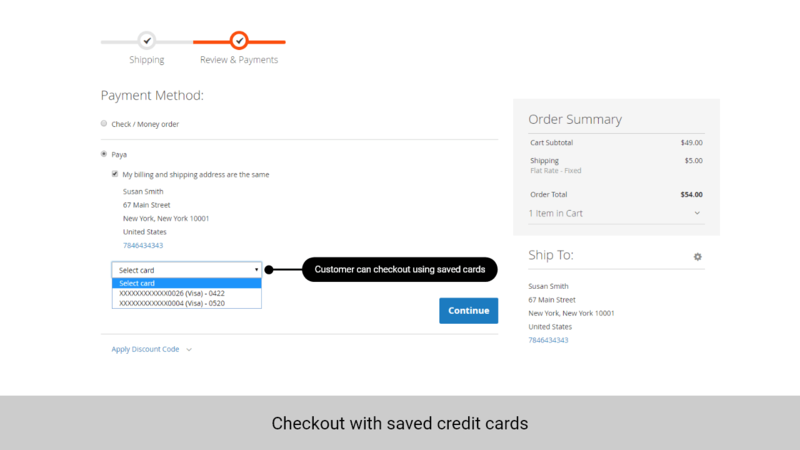 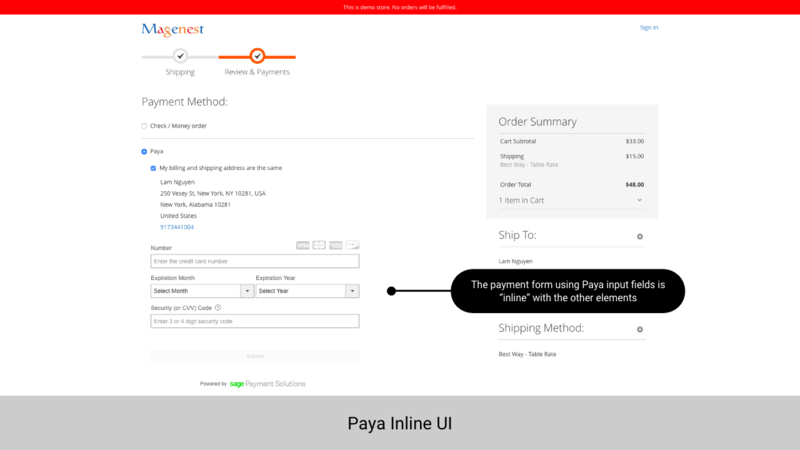 Don't compromise your user experience with a disruptive checkout process, enhance it with Magento 2 Paya Integration, which offers a stable running method that keeps customer experience uninteruptted.